Note: Numerous news sources are currently reporting on the scandal(s) within the Veterans Administration (VA). I now also find myself searching for answers with regard to my personal VA complaint. 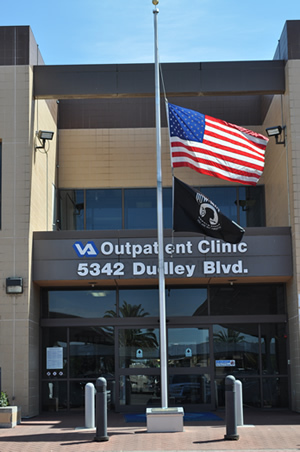 The following is my actual complaint that was recently given to the Regional Counsel of the Department of Veterans Affairs at 4150 Clement Street, Bldg. 210 San Francisco, CA 94121. During the middle of April 2014 I filed a claim under the Federal Torts Claims Act for pain and suffering. The Regional Counsel has six months to settle my claim or to not allow the claim to move forward. I have also asked my Congressman Ami Bera, M.D. (CA-7) for help. He then filed an inquiry to the VA for related documentation. My goal is to have the doctor named in the following document to be removed from the Mather, California VA system. Several Veterans’ organizations have also expressed an interest in assisting me (and other veterans who may come forward) with this type of case/complaint. AMVETS is taking the lead. As aired on Hannity (Fox News) on May 20, 2014 Stewart Hickey of AMVETS and Rick Weidman of Vietnam Veterans of America (VVA) met with White House Deputy Chief of Staff, Rob Nabors, to discuss the VA scandal. I was told by Weidman’s staff that my story about the “VA Doctor Complaint - VA Doctor Almost Killed Me” was given to Nabors during the course of their meeting. On July 23, 2013 I was in a vehicle accident. This accident left me with several medical issues. One of the resulting physical problems I faced was a severe cough that resulted in intense stomach pains, chest pains and continual dizziness for approximately four (4) months. As my Veteran Administration (VA) medical documents show, the cough, dizziness and pain are mentioned many times, however the VA Doctor, Digpal Chauhan (at McMellan Air Force Base) who was my primary care physician only treated me with nose sprays and repeated prescriptions for cough syrup. In addition, I was admitted into the Mather, California Emergency Room several times for the cough/severe chest, stomach pains and dizziness. Upon release, each time I was told to contact my primary care doctor. After several visits to Chauhan’s office I took my wife with me, Chauhan told both of us that he was a “lung expert.” When I questioned that statement he went on to say he was also a “brain expert” and Chauhan suggested that I had a mental problem and not physical difficulties. January 13, 2014 - While at home, I passed out about 0100 hrs and stopped breathing from the dizzy spells and cough. If it had not been for my wife Julie giving me CPR, I may not have survived. The second time I passed out was the same day (with staff present) at the Mather, CA. VA hospital where my wife had taken me for help following the terrifying episode at home. It took my nearly dying at home until it was discovered that there were/are many blood clots in my chest including large clots in my lungs. I was admitted to Mather VA Hospital and placed on IV blood thinners in hospital to allow my body to deal with these numerous and dangerous clots. The chronic deep cough not only caused my stomach muscles to be extremely painful and swollen but also assisted (due to days receiving IV blood thinners) in a bleed that encompassed the entire right side of my body, circled my torso and migrated down my right leg. I was then taken off the blood thinner, given 2 units of FFP (Fresh Frozen Plasma) to reverse the effects of the blood thinner and was taken by ambulance to David Grant Hospital at Travis Air Force Base where a filter was placed in my blood stream to hopefully catch any loose clots. Due to a lack of proper diagnosis, the VA reports in my possession clearly show that I also have a degree of heart failure. Overall, I was hospitalized for over two weeks at Mather, CA VA Hospital as well as David Grant, Medical Hospital at Travis AFB for the vascular filter surgery. After reading all the VA reports it appears to me (and others) that apparently Chauhan believed my mental issues were more important than my physical wellbeing or had decided my health concerns were all in my head and failed to explore further. As the documents show on eighteen (18) pages the issue of my cough, dizziness and pain are part of the documents, (some repetitious) but all VA staff members told me to contact my primary care doctor. When I did, all I got was more cough syrup and nasal sprays. The question to me becomes, if Chauhan is the “lung expert” as he claimed to be, then why did he stop at just treating the symptom of the cough and fail to explore options that would have lead a real “lung expert” to find the blood clots in my lungs and chest? On at least two occasions Chauhan referred me to the Mather Ear Nose and Throat specialists (ENT). These appointments were canceled as the doctors at ENT did what they called an “Electronic Evaluation” and determined I had nothing wrong. ENT sent me back to Chauhan who once again gave me more cough syrup and nose sprays. I currently have a new primary care doctor at the Mather CA. VA He is Dr. Jaeho Lee and he has been very professional and friendly. He has taken what appears to be a personal interest in my case as has Mather’s Dr. Robert Noll Jr. the surgeon who did my blood filter surgery at Travis. Noll and Lee have given me a new attitude on doctors at the VA as Chauhan had previously shattered my viewpoint of VA doctors. [With help from his wife Julie, on October 20, 2013 Barry posted a new short book to Amazon.com titled: FBI, Murders, Conspiracy& ATF Contrived Charges - The Peltier Case. The story is a revised updated true story taken from the first four chapters of his 2004 book, BURNING RAGE – The Growing Anger Within My Country. While this story is not of the magnitude of Eric Holder’s “Fast and Furious” it clearly shows a long continuing pattern of lies/unethical/illegal activities of numerous federal agents from within the U.S. Department of Justice (DOJ). Mr. Clausen has been a guest on over 250 U.S. and Canadian radio talk shows and TV news shows including ABC, CBS, NBC and repeatedly on FOX News. He has been featured or quoted in over 800 books, magazines and news articles including the San Francisco Chronicle, Washington Post, Vancouver Province, Canada’s B.C. Report, New York Times, Newsday, Seattle Times, Oregonian, Sacramento Bee, Christian Science Monitor, The Dallas Morning News and a lengthy article beginning on the front page of the Wall Street Journal. Mr. Clausen’s information has been translated and used by publications in many foreign countries including Japan, Ireland, England, Turkey, Germany, France and Chile. In 1994, a film crew from Danish TV-2 flew to Seattle to interview Mr. Clausen for a television documentary about international and U.S. extremist organizations. The documentary, A MAN IN THE RAINBOW, was subsequently aired in several European countries. His latest book "Burning Rage - The Growing Anger Within My Country," will be updated and available on Amazon.com early this spring. 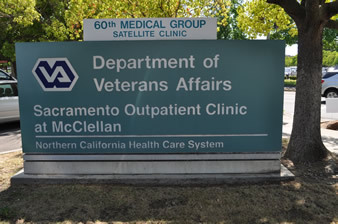 As my Veteran Administration (VA) medical documents show, the cough, dizziness and pain are mentioned many times, however the VA Doctor, Digpal Chauhan (at McMellan Air Force Base) who was my primary care physician only treated me with nose sprays and repeated prescriptions for cough syrup.